While there are a large number of trust types available to potential settlors under English law, perhaps understandably a small group tend to be used more frequently than others. This is clearly because many individuals wish to establish trusts for similar reasons; these most often include estate planning or financial provision for dependants. However, in certain circumstances more esoteric trust types may better suit the situation. Fixed trusts are a potentially useful solution for situations in which the settlor wishes for their estate to be disbursed to a number of beneficiaries in certain proportions. In these cases the trustees have no discretion regarding the amount that is to be disbursed, to whom it is to be disbursed, or when. Rather, the terms of the trust are set in advance by the settlor. The defining characteristic of a fixed trust is that the settlor pre-determines the proportion of the assets placed in trust that will be disbursed to each beneficiary. It is important to note that the value of these assets need not be known. In fact, it is frequently impossible to predict this value; fixed trusts are often funded with shares, the price of which obviously fluctuates. In contrast to fixed trusts, discretionary trusts offer significant freedom to the trustees. Under these arrangements, the trustees can exercise their discretion regarding the amount to be disbursed, the timing of the disbursal and, in some cases, whether or not assets should be transferred to individual beneficiaries at all. Frequently the settlor will provide guidance to the trustees to explain their intentions. This normally takes the form of a ‘letter of wishes’. This is not, however, legally binding upon the trustees; rather, it is considered to be a statement of intent to which the trustees should refer when making decisions regarding the management of the trust and its assets. Hybrid trusts are more complex. The terms of these trusts are designed to ensure that they can adapt to suit any unforeseen situation, be that a change in family circumstances or the tax schedule. Hybrid trusts offer trustees as much power as they would be granted in a straightforward discretionary trust, but combine this with other trust types as a ‘stop-gap’ measure. A hybrid trust might, for example, state that the trustees should decide on the ultimate disbursement of the assets but, until that time, it should take on the character of an interest in possession trust; thus, the income generated by the trust should be paid to a particular individual until such time as the trustees make a decision. During this period, however, the trustees have the power to change the individual to whom the income is being paid. Alternatively, if the hybrid trust takes on the character of an accumulation and maintenance trust until the trustees make their own decision, maintenance payments will be paid to the relevant individual until they reach a specified age. ‘Stock’ trust documents are frequently inefficient, particularly if the settlor’s affairs are particularly complex. As such, it is worth investigating some of the less frequently used trust types to investigate their potential. When Would I Use an Interest in Possession Trust? I am the sole settlor of two trusts one an IIP Trust established in 1990 with myself as the sole benefiary and a Discretionary Trust in 1995 with my children and their issue being potential beneficiaries. My wife and I were since inception the trustees of both. My wife passed away a few months ago and I need to appoint a trustee which will be my daughter. 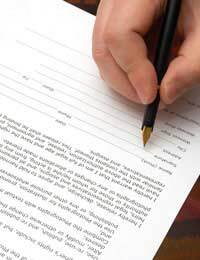 I understand that a Deed of Resignation and Appointment of a Trustee is necessary for both. Is there a template I can use? As we don't have all the facts, it would be better to seek professional financial advice on how to plan this bst.